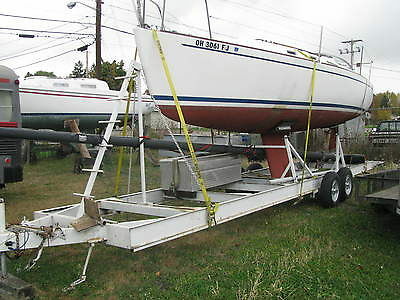 FOR SALE: NICE FREEDOM DAY SAILER /RACER-----BOAT IS IN GOOD TO VERY GOOD CONDITION WITH FULL SAILS AND RIGGING. 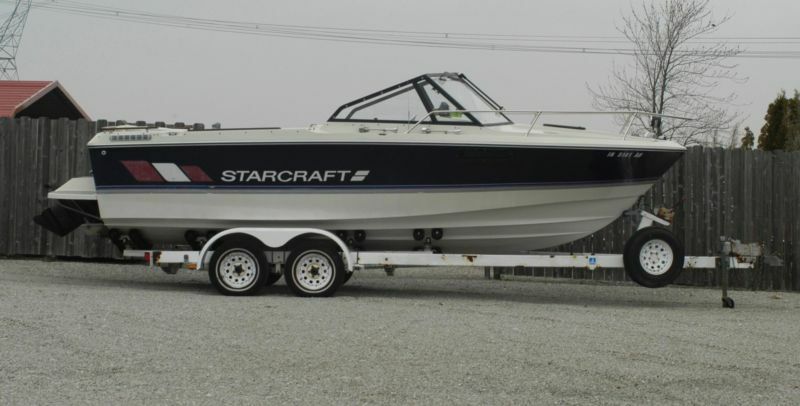 ---FRESH BOTTOM PAINT /NEW VARNISH/ ENGINE SERVICED---HAS ALL SAFETY EQUIPMENT/VESTS ,FLARES,HORNS,ETC. --AM.FM RADIO,VHF RADIO, NEW GPS DEPTH AND LOCATION---SPEED ,WIND ,COMPASS ETC.----HAS FULL RIGGING WITH TOP ZIPPERED DOYLE SAIL STACK PAK. --SPINNAKER RIGGING WITH EXCLUSIVE FREEDOM SHOTGUN STYLE ARRANGEMENT FOR 1 MAN SAILING. --NEW SPINNAKER SAIL AND CHUTE BAG. ---YANMAR DIESEL RUNS PERFECT.----- BOAT WAS JUST LAUNCHED THIS WEEK AT CARRIGE HOUSE MARINA IN SEABRIGHT NEW JERSEY. ---SLIP RENTAL IS TRANSFERABLE.----- INTERIOR LAYOUT WOULD SLEEP 4 PEOPLE WITH 2 STERN BUNKS AND FRONT VBERTH. --HEAD /SINK/WATER AND WASTE TANKS--SHORE POWER SET UP AND 10AMP MARINE BATTERY CHARGER.--- QUESTIONS OR FOR VIEWING CALL JOE AT 440-213-0528 ---------- PLEASE NOTE----IF PURCHASED AT BUY IT NOW PRICE WE HAVE A CUSTOM BUILT TRAILER /TANDEM AXLE VERY NICE WHICH WE WILL INCLUDE WITH SALE---------- TRAILER: CUSTOM BUILT TANDEM AXLE WITH 7000 LB. DROP AXLES --6 LUG ALUMINUM WHEELS, GREAT D RANGE TRAILER TIRES, ELECTRIC BRAKES BOTH AXLES, EQUALIZER SWAY BARS AND HITCH FOR REESE SET UP. ALL LED LIGHTING. I JUST PULLED THE BOAT 800 MILES BACK FROM THE COAST WITH MY 1/2 TON SILVERADO PICKUP AND IT PULLED LIKE A DREAM. AXLES ARE SLIDING STYLE TO MAKE IT POSSIBLE FOR EASY WEIGHT DISTRIBUTION CHANGES. VERY NICE CUSTOM TRAILER. 2 AND 5/16 BALL--BOAT IS NOW IN WELLINGTON ,OHIO FOR WINTERIZED STORAGE. 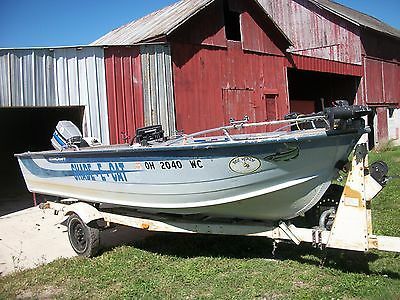 lease contact boat owner Randy at 440-668-0404. Alumacraft 165 Classic Tiller w60 HP Merc ELPT and SS prop Minn Kota Powerdrive 55 Autopilot on bow Lowrance 334c igps Marine Radio.